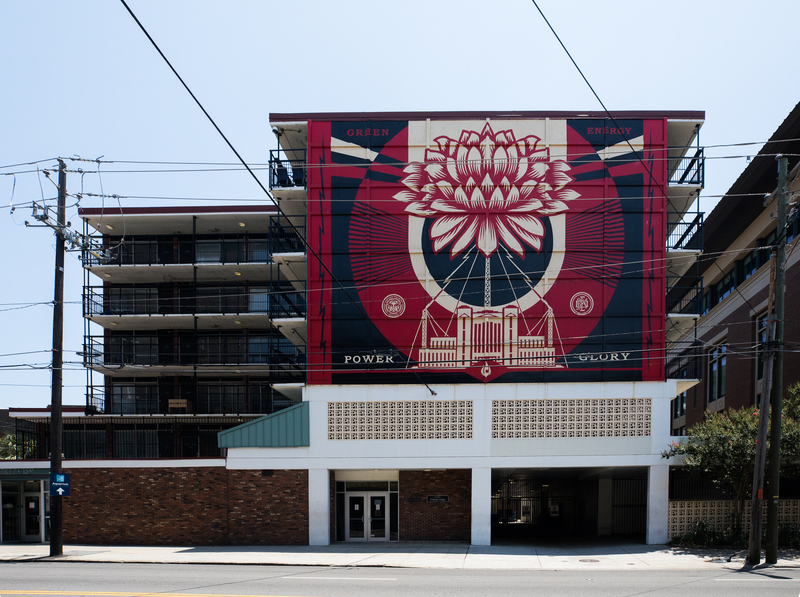 College Lodge formerly the historic Downtowner Motor Inn, is a six story building near the corner of Calhoun and St. Philip Streets. Lodge is a co-ed six-story building housing approximately 200 students. Residents share a large room with sitting area and internal bathroom. 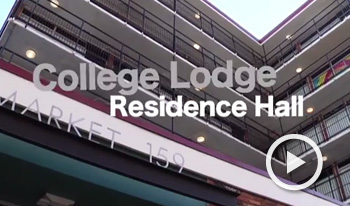 College Lodge is air conditioned and features a common game room, study room, in building laundry facilities that are free, and common kitchen as well as an outside courtyard that is equipped with a basketball court and cookout area and can be used for hall activities. Lodge also has IPTV and WiFi. Market 159 is conveniently located on the first floor and carries an array of products such as bottled beverages, late-night snacks, organic items, fresh fruits, cleaning products, microwavable meals and other favorites such as Lean Cuisine, Healthy Choice soups and DiGiorno Pizzas! Prepared daily, Market 159 also offers a variety of Grab & Go sandwiches, salads and sushi perfect for students on the run. Market 159 accepts cash, credit and Dining Dollars. Typical bedrooms measure approximately 11’- 11” wide x 16’-5” long not including bath and vanity areas. Room has tiled floor where a 3' x 5' or 5' x 8' rug will easily fit. Twin bed – extra-long: semi-lofted configuration. Each bed has a wooden frame measuring 36” wide x 80" long and is approximately 30” from floor to frame. Beds are semi-lofted with approximately 30” of vertical clearance underneath. Please note these mattresses accept only "twin-long" sheets. Wardrobe cabinets, 30” wide x 24” deep x 72” high with one shelf and a bar for hanging clothes. Wardrobe cabinets are equipped with a “hasp” that allows students to lock the wardrobes with their own lock. Two large windows (50” wide x 92” high on 2nd floor, 50” wide x 78” high on all other floors) offering plenty of natural sunlight. Windows are covered with white 1" blinds. We do not allow wall or frame fastened curtain rods, but students may drape fabric from the valance of the blinds. Meet the College Lodge Staff!